PM sent to members in the interest lis! PM and e-mail sent to RovyVon! Will send PMs in the morning! 5 Dec 2018 EDIT #3 – Group Buy will be running until the the 10th December 23h59 GMT! After this I will send PM to the interested members, and will send e-mail and/or PM to Rovyvon with a list of the interested people! 27 Nov 2018 EDIT #2 – Change of conditions for the Group Buy! – a 25% discount above 50 units. 20 Nov 2018 EDIT #1: I put a “Questions to & Answers from RovyVon” Topic on Post #2, so that we can ask things and get some answers! Some weeks ago I posted a thread about the RovyVon Angel Eyes E300S flashlight, after seeing some videos on YT! 3) The orders must be done directly through RovyVon website (linked above)! 4) Shipping is free on orders above USD$36 and is done with SF Express; it will take 3-4 weeks to arrive (estimated) and will have tracking number! EDIT 5) This Group Buy will run during 2 or 3 weeks, but the time for it can be prolonged! This Group Buy will run 10th December 23h59 GMT . 1) I will post the interest list on Post#2 and I will try to update it at least once a day. Please post your interest mentioning how many lights you want! 2) I will make a post on this thread when/if we reach the interest in 50 flashlights. RovyVon will also be informed of that and from then on, the ordering process must be done under their conditions. EDIT 3) If during the initial GB period we do not reach the interest in 50 flashlights, I’ll see if RovyVon can make some discount for the interested members. No promises, though!! Conditions have changed above! Until 50 units = 20% discount; + 50 units = 25% discount!! 4) Any update or important information will be posted along the thread and systematized in the top of Post#1!! 5) If you have questions about the GB process feel free to post it as well! I guess member RovyVon will be involved on the thread too, so we’ll try to answer those!! a) I will be a mediator here and will inform RovyVon about this GB either by PM or e-mail. Any problem with ordering, paying or shipping (or after receiveing the lights) must be dealt between the BLF member and RovyVon. b) I will not send PM to the interested members unless it is strictly needed. So, please, keep an eye on the thread now and then!!! 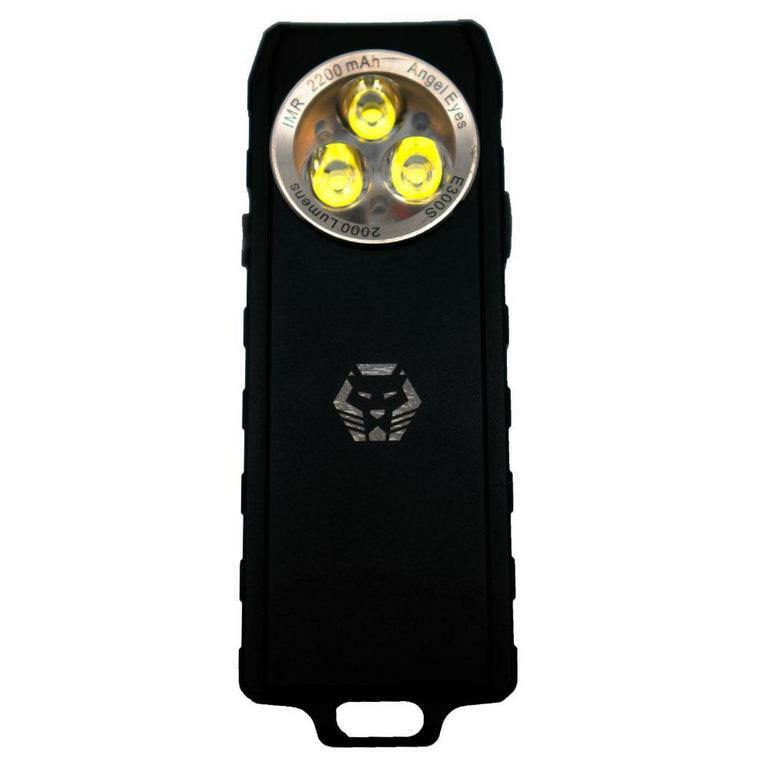 c) Other than the interest in buying one of these lights, and providing BLF members the opportunity to get this flashlight with some discount, I have no other interests or benefits with this Group Buy. Also, no links posted by me are or will be affiliated! 1) Does RovyVon ship this flashlight to Mexico? YES IT DOES! Might as well be interested! I am very interested … two lights, please. I’m interested in one, but do you ship to Mexico? Welcome to the forum dvdpxt! I believe that RovyVon ships to Mexico, but we’ll see that! If RovyVon doesn’t answer here, I’ll gather a list of questions (if needed) and will ask them about that, and will inform you here on the thread! Thanks, I had time watching the forum, but I had not registered yet, wait for the answer. I was looking at RovyVon site and there was no specific information about shipping or not to Mexico. We ship orders to most countries/regions in the world using SF Express International Small Packet, Postal Service, or DHL Express (+$12, or free on orders over $199). *If an order has been placed and the above shipping methods can’t deliver packages to your address, we’ll contact you via email for a solution or refund. 1. Canada only has DHL Express shipping method as other 2 methods cannot track the route in Canada which means it doesn’t show whether the package was delivered or not. 2. Orders from Australia shipped by Special Australian Line at a shipping rate of $6.95, the tracking number is available after the package arrived in Australia. It takes 7 days you can track it online. 3. Currently, DHL doesn’t provide service for personal packages to Russia, therefore we ship orders to Russia with SF Express. This considered, shall I maintain your interest for 1 light or do you prefer to have a definitive answer from RovyVon? I want to wait for a response from RovyVon. Post #2 updated with the answer! Very interesting light, still going to be $60 at 25% off. 2200 MAH battery is ok I guess. Output is good though. Good luck with the group buy. Very nice flashlight , I am very interested … one light, please from France . Now it’s official, I’m inside. Interested, hope we can find enough buyers this time. BTW, how many lights would you want? Is it mod friendly ? It is possible to disassemble it to change led ? If so I am in. I can also write about this gb to fonarevka. Well, that was questioned too in the first thread I made about this flashlight! Please take a look below to RovyVon answer as it may be clarifying ! BTW there is Black Friday coupon with 25% off . So I not interested in GB now. Thanks for the heads up on the Bkack Friday deal! It is 20% not 25%, though (at least by seeing RovyVon site)! If the people that showed interest on these prefer to buy tye light under that code/discount, feel free to do so If that happens, please just let me know so that I change the list! No problem mate! Feel free for that, the best deal is always the best deal! I will still be running this GroupBuy (the discount for Black Friday and Cyber Monday only lasts some more days) as we still have more 2 or 3 weeks according to the initial plan! Also, I’ve just sent an e-mail to try to renegotiate the discount for this Group Buy! I will wait for RovyVon reply and if we have a “Yes!”, I will update the post #1 and the Group Buy conditions! It's a YES, let's go with this discount.